In this course I'm going to show you how to do even more awesome things. We'll learn not just 1, but 4 new architectures in this course. In this course, I'm going to show you exactly how word2vec works, from theory to implementation, and you'll see that it's merely the application of skills you already know. Amazingly, the word vectors produced by GLoVe are just as good as the ones produced by word2vec, and it's way easier to train. We will also look at some classical NLP problems, like parts-of-speech tagging and named entity recognition, and use recurrent neural networks to solve them. You'll see that just about any problem can be solved using neural networks, but you'll also learn the dangers of having too much complexity. 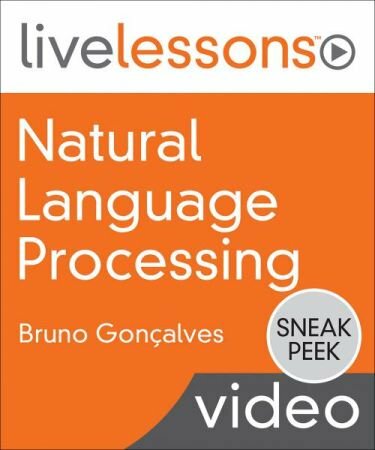 Welcome to the best Natural Language Processing course on the internet! This course is designed to be your complete online resource for learning how to use Natural Language Processing with the Python programming language. In the course we will cover everything you need to learn in order to become a world class practitioner of NLP with Python. We'll start off with the basics, learning how to open and work with text and PDF files with Python, as well as learning how to use regular expressions to search for custom patterns inside of text files. Afterwards we will begin with the basics of Natural Language Processing, utilizing the Natural Language Toolkit library for Python, as well as the state of the art Spacy library for ultra fast tokenization, parsing, entity recognition, and lemmatization of text. We'll understand fundamental NLP concepts such as stemming, lemmatization, stop words, phrase matching, tokenization and more! Next we will cover Part-of-Speech tagging, where your Python scripts will be able to automatically assign words in text to their appropriate part of speech, such as nouns, verbs and adjectives, an essential part of building intelligent language systems. We'll also learn about named entity recognition, allowing your code to automatically understand concepts like money, time, companies, products, and more simply by supplying the text information. Through state of the art visualization libraries we will be able view these relationships in real time. Then we will move on to understanding machine learning with Scikit-Learn to conduct text classification, such as automatically building machine learning systems that can determine positive versus negative movie reviews, or spam versus legitimate email messages. We will expand this knowledge to more complex unsupervised learning methods for natural language processing, such as topic modelling, where our machine learning models will detect topics and major concepts from raw text files. This course even covers advanced topics, such as sentiment analysis of text with the NLTK library, and creating semantic word vectors with the Word2Vec algorithm. Included in this course is an entire section devoted to state of the art advanced topics, such as using deep learning to build out our own chat bots! Not only do you get fantastic technical content with this course, but you will also get access to both our course related Question and Answer forums, as well as our live student chat channel, so you can team up with other students for projects, or get help on the course content from myself and the course teaching assistants. All of this comes with a 30 day money back garuantee, so you can try the course risk free. What are you waiting for? Become an expert in natural language processing today! Python developers interested in learning how to use Natural Language Processing. This course was created for people at various levels of expertise (both technical and non-technical) to help them realize what parallel processing is, what are its main strengths and limitations. This class, like all SimpleIT classes, uses simple examples to illustrate how simple it could be to understand IT. I hope it will turn on your imagination and result in new thoughts surrounding 'parallel processing'. See you on my class!